The story begins in the small village of Rohrbach, near Vienna, Austria, where Ignatz Salamon, grandfather of the present owner ran a small general store. Ignatz was born in Poland and with the Nazis advancing through Europe in 1939 he decided to move to the UK with his wife and 3 young children. Walter Salamon, who would later become the founder of Wally’s Delicatessen, was just 3 years old at that time. Ignatz joined the Pioneer Corp of the British Army, largely made up of Poles and other displaced persons. Following the war Ignatz moved his family to South Wales where he took a job in a zip factory where his brother was working and where he was able to accumulate a little capital and improve his English. Then, in 1947, he decided to open a delicatessen in Bridge Street in Cardiff, on the site where the John Lewis store now stands. Ignatz (also known as Ivor) had the benefit of his experience of running a general store in Austria and this was to prove invaluable to him in his new venture. Responding to the needs of the newly arrived immigrant community from Eastern Europe, the shop soon started selling and specialising in Polish cooked meats and pickles, Hungarian salamis, German hams and sausages and European-style breads. The shop rapidly established a reputation for it’s European products, many of which were obtained from London-based importers and had never before been seen in this part of the country. The shop was a constant hub of activity, and a meeting place for it’s customers who would converse with each other and with the staff in a variety of languages. This is still the case today! After a few years Walter (Wally) and his brother Otto joined their father in the family business. Both brothers were teenagers at that time and had left school with no formal qualifications. Wally and Otto worked with their father until Ignatz died in 1963. As time passed and the South Wales continental community developed, the product range grew to include Italian and Spanish cheeses, hams and salamis, French charcuterie, Greek olives, olive oils and many more continental products. In 1981, the shop was compulsorily purchased when Cardiff City Council decided to redevelop the Bridge Street area. It’s place was taken by Toys-R-Us, the National Ice Rink and a multi-story car park. At this point, the Salamon brothers went their separate ways, with Wally opting to open a delicatessen in the Royal Arcade while his brother decided on Caroline Street. Wally Salamon decided to name his delicatessen Wally’s Delicatessen, because he considered it an old-fashioned virtue that shopkeepers named their shop after themselves. The core business continued to be health foods and continental meats – though now with more Italian and Spanish varieties joining the German and Eastern European cuts, and there was a new emphasis on oriental foods and spices. Wally’s son, Steven, joined the business in 1993 after first having qualified as a Chartered Accountant. He had worked at the UK’s largest firm of accountants in London and then at an investment bank in Cardiff, before deciding that he really wanted to continue the traditions that his grandfather had laid down. Steven became the owner of Wally’s Delicatessen in 1995 and Steven and his father continued working together until Wally’s death in 2008. Wally had worked in the family business all his working life and is still sorely missed by all his friends, relatives and staff. There are 2 members of staff who have been with Wally’s Delicatessen since it started out in 1981, David Richards and Tricia Pike. Shop manager David Richards first started on a Youth Training Scheme as a 16 year old and is still going strong. Tricia Pike is the wife of former manager David Pike, who retired in 2018 after 48 years with Wally’s. In June 2009, a new extension to the store was opened following the acquisition of adjoining premises. The extra floor space more than doubled the sales area. The extension was fitted out to the highest standards and was designed to provide a modern version of the original Wally’s Delicatessen, whilst still maintaining it’s special charm and character. The extra space has enabled Wally’s to venture into many product areas that previously they did not have the room for. There is now an enlarged delicatessen counter, a 3 metre long walkaround olive bar, a wines and beers department, Italian Gelati, loose leaf teas and coffees, a range of store-baked artisan breads and much more. In 2011, Wally’s Kaffeehaus opened, situated on the first floor of our premises in Royal Arcade, directly above Wally’s Delicatessen. The aim was to bring the Viennese Coffee House tradition and experience right into the heart of Cardiff. Wally’s Kaffeehaus has its own unique menu of continental breakfasts and open sandwiches, cakes and patisseries, Italian gelato and of course, an exciting range of coffees, teas, hot chocolates and alcoholic beverages. We also have daily newspapers and free WiFi for the convenience of our customers. Wally’s Delicatessen and Kaffeehaus aims to continue to offer it’s customers a unique shopping and eating experience by combining their considerable experience and knowledge of the industry with a warm welcome and good old-fashioned personal service. You can be sure that Steven and his staff will be happy to assist you with any enquiries you may have. 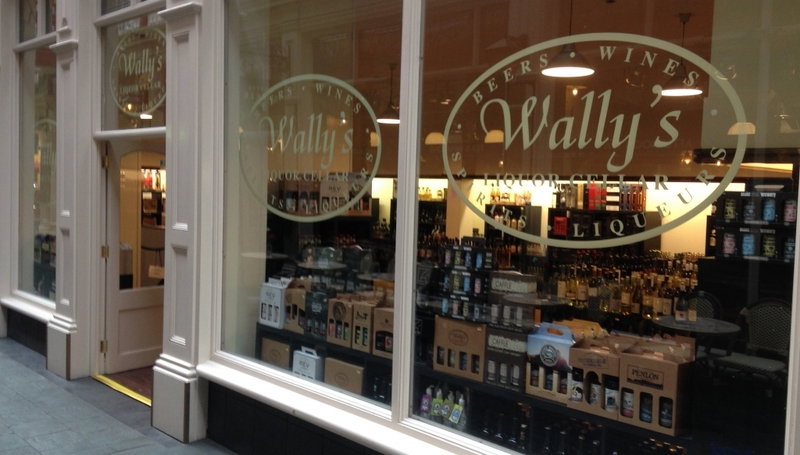 In 2017, Wally’s Liquor Cellar opened at 10-14 Castle Arcade, Cardiff. We had been selling a range of Beers, Wines and Spirits for many years from Wally’s Delicatessen but we did not have enough space there to display our increasing range, so it was for that reason that we have opened up this specialist shop in another famous Cardiff arcade. Wally’s Liquor Cellar opened in the Castle Arcade in October 2017. Then in September 2018, we opened our new Wally’s Spirits from Wales kiosk in St Davids Dewi Sant. 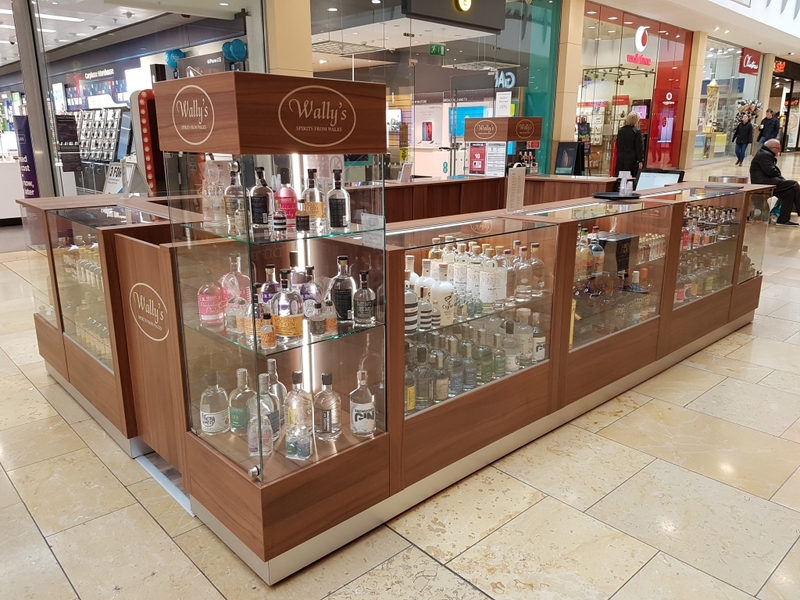 This enables us to showcase the finest Welsh Whiskies, Gins, Vodkas etc in the 11th largest Shopping Centre in the UK. The new Wally’s Spirits From Wales kiosk in St David’s Dewi Sant Shopping Centre in Cardiff City Centre.